There is always the threat of a random HMRC Investigation into the affairs of your company, but in recent years a number of Task Forces have been set up to target specific groups. 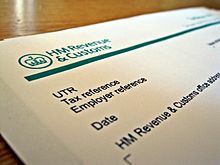 These HMRC Investigations task forces tend to concentrate on particular areas of the country and industry sectors, where there is a higher than normal incidence of casual / subcontract labour or other cash payments. The next series of task forces will be focusing on the Construction Industry (London), Security Guards, Doormen and their employees (London and the South East) and Second Hand motor traders in the Midlands. HMRC Investigations will also be looking into the affairs of individuals that do not appear to have the means to support their lifestyles. These targeted HMRC Investigations are expected to raise in the region of £20 million in the coming months. Although these particular task forces may not be targeted in your area or industry, it is possible that you could be in the next batch to be announced. You should always make sure that your records are up to date, accurate and easy to understand or risk the wide ranging powers that can be brought to a focus on you by HMRC Investigations. For more information concerning HMRC Investigations contact Brian Russell on (01661) 872004 or by email: Brian.Russell@profitabilitygroup.co.uk.